Now playing on Otherppl, a conversation with Ingrid Rojas Contreras. 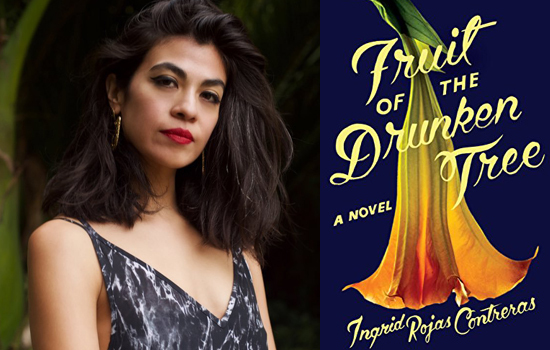 Her debut novel, Fruit of the Drunken Tree (Doubleday), is a national bestseller, an Indie Next selection, a Barnes & Noble Discover Great New Writers selection, and a New York Times editor’s choice. Born and raised in Bogotá, Colombia, Contreras’ essays and short stories have appeared in the New York Times Magazine, Buzzfeed, Nylon, and Guernica, among others. She is the book columnist for KQED, the Bay Area’s NPR affiliate, teaches writing at the University of San Francisco, and works with immigrant high school students as part of a San Francisco Arts Commission initiative bringing writers into public schools. She is working on a family memoir about her grandfather, a curandero from Colombia who it was said had the power to move clouds.